The Village of Ossining, located on the eastern shore of the Hudson River 30 miles north of New York City, is one of a number of river towns with older industrial/ waterfront and historic downtown areas. Ossining is approximately three square miles, has a population of about 26,000 and has three miles of waterfront along the Hudson River. Ossining was incorporated as the Village of Sing Sing in 1813, but changed its name to Ossining in 1901. In 2013, the Village of Ossining celebrates the 200th Anniversary of its incorporation as a chartered Village. The Village will mark its anniversary with several Bicentennial Events commemorating the history of Ossining. 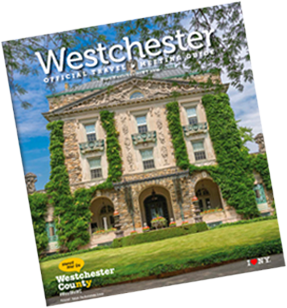 The distinction of being voted “One of the Most Architecturally Beautiful Towns” by Westchester Magazine in 2012. Teatown Lake Reservation: An environmental education and nature preserve offering birds-of-prey, animal displays and extensive trails. The Briarcliff-PeekskillTrailway: A 12-mile linear park that runs from the Town of Ossining north to Westchester County&apos;s Blue Mountain Reservation in Peekskill.